Matt Ossege, Randy Ossege, Russell Ossege and Joe Zoller job supervisor for Noll Builders. Noll Builders are building a home for the Wintersheimer Family. 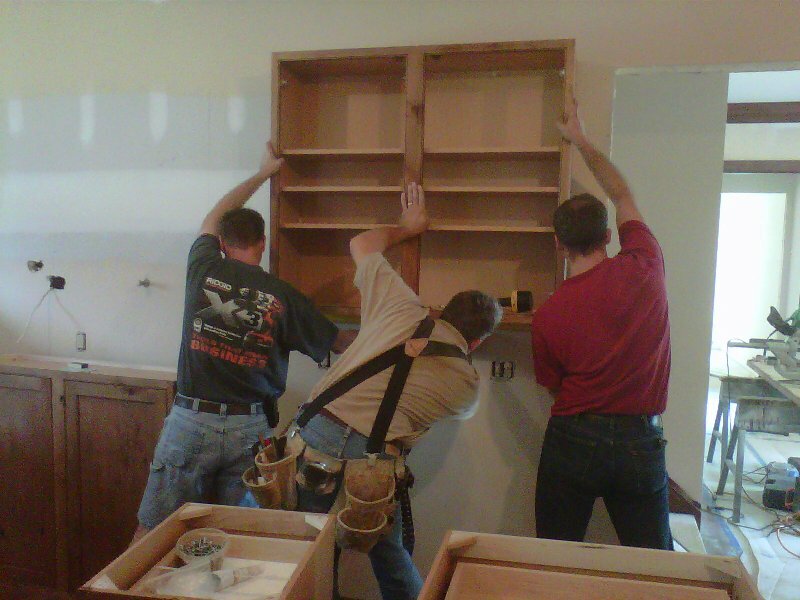 W.Stephens Cabinetry and Design was hired to design cabinets for the project and the Ossege Brothers are installing the cabinets on-site. 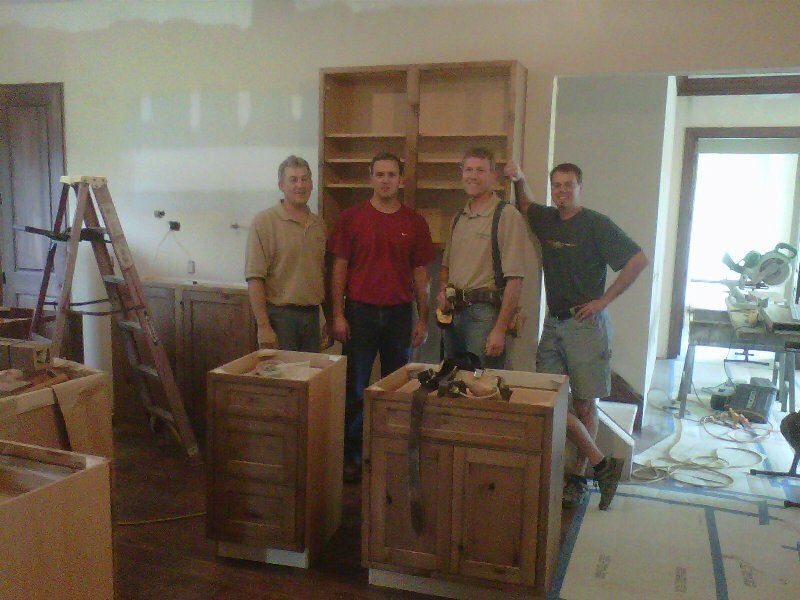 Wayne Stephens, owner of W.Stephens Cabinetry and Design has used the Ossege Brothers to install his designs for over 20 years. The Ossege Brothers also installed the Villines job for W.Stephens last year. They do great work! The cabinets are Wood-Mode Rustic Alder. 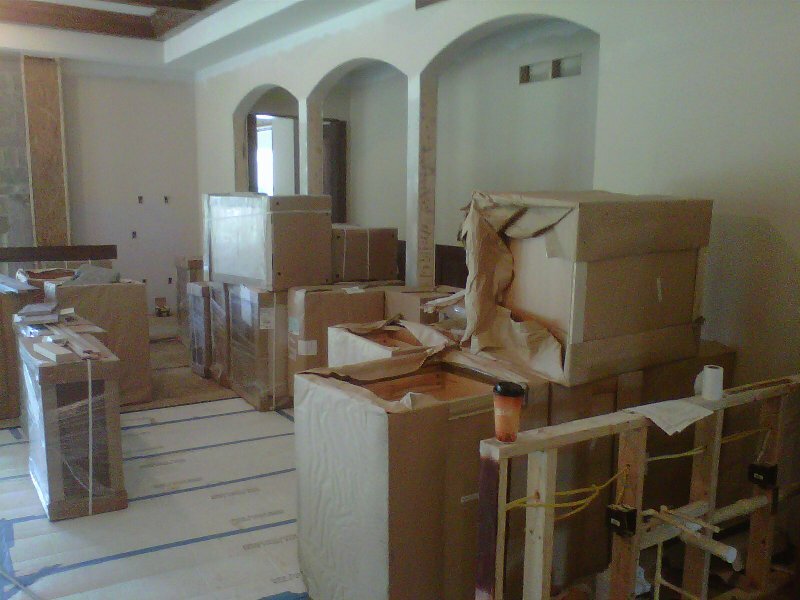 More pictures will be added as the the project comes closer to completion.